Approximately 130,000 knee replacement surgeries are performed every year in the United States. Too many of these knee replacements in recent years have had defective hardware. If you are three months post-knee replacement and are still having problems, you could have a defective knee replacement. You might be eligible for compensation. Our Exactech Optetrak and Arthrex IBalance knee replacement lawyers are investigating potential lawsuits throughout the United States for claims on behalf of victims who received any of these knee implants that may be defective. For more information, call 800-553-8082 or get a free online consultation. 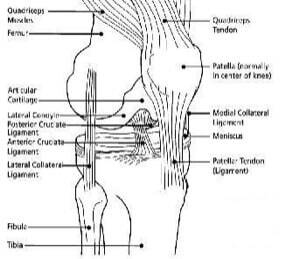 The knee is the largest joint in the human body. The knee joint supports the majority of the body’s weight, and as a consequence is susceptible to injury or trauma with the development of osteoarthritis in later life. The human knee wears with age. Two of the primary causes of knee degeneration or wear are osteoarthritis and rheumatoid arthritis. With either of these conditions, the articular surfaces, which are normally covered with cartilage, wear out or degenerate. When these surfaces wear out, they expose the underlying bone surface and result in bone surfaces on the femur and tibia rubbing against each other. Because cartilage contains no nerve endings, healthy patients do not experience any sensation caused by an articulation of the femur and tibia. When the cartilage degenerates, the bone-on-bone contact which occurs causes pain to the patient because the exposed bone surfaces contain nerve endings. Because physicians cannot replace cartilage, they use prosthetic devices to resurface the articular surfaces of the knee. Knee replacement surgery is often necessary for patients with osteoarthritis to alleviate pain when non-surgical therapies are ineffective. An estimated 581,000 knee replacements are performed annually in the US. Direct costs of hip and knee replacements are greater than $35 billion. Over 4.5 million people have knee replacements. Is there a battle over that money by companies fighting to get to that market as quickly as they can? You bet. By 2030, it is projected that total joint replacement will increase to 4 million patients annually. Various knee replacement devices are available and used in practice including polyethylene, metal, and ceramic knee replacement devices. First generation knee implants were polyethylene, however, over time, these devices proved to be sub-optimal and as a result, manufacturers turned to metal backed designs cemented to the tibia, and more recently cementless designs. Manufacturers continue to research and bring to market devices that have lower rates of dislocation and increased longevity of the implant. Factors that impact long-term outcomes include the type of device implanted, the surgical technique, and patient factors including activity, age, gender, body mass, etc. How Do Knee Implants Work? Arthritis: this is inflammation of the knee joint which causes wear and tear on the knee cartilage. Osteoarthritis: this is the most common type of knee arthritis, and results in bone-on-bone contact at the knee joint. In a total knee replacement surgery, surgeons remove the bone and cartilage on the end of the femur (thigh bone) and the shin bone (tibia). Devices, historically made of plastic but now more frequently, metal, are then attached to the bones to give the patient a new knee joint. What Was Wrong With Smith & Nephew Implants? DePuy is not the first company to have a problem with knee replacements. Smith & Nephew had the first knee replacements that were a concern. They promoted their Journey knee devices as a device that potentially lasts longer than similar devices due to a lower rate of wear. Their knee replacement implants use oxidized zirconium rather than cobalt chrome or titanium which is more commonly used in replacement devices. Studies have shown that as cobalt devices wear, particles are released which can result in inflammatory reactions. Plaintiffs' attorneys at first zeroed in their attention - and lawsuits - on Zimmer knee replacements This led both lawyers and researchers to take a closer look at knee replacements generally. What was found is that these new knee replacements are inferior, including the Smith & Nephew knee replacement. How did these knee replacements get on the market? Good question. Many joint replacement devices receive regulation under the 510(k) notification program. This FDA program allows medical devices to enter the market without requiring manufacturers to conduct clinical studies. Instead, the manufacturer must only demonstrate the device is substantially equivalent to other similar products already on the market. So the actual product that goes into a patient's knee is not tested like these medical devices should be tested. The FDA announced a Smith & Nephew recall of nearly 40,000 defective tibial baseplates in January 2010. An Alabama man filed a lawsuit against the manufacturer after receiving a knee replacement in 2008 which included a Journey tibial baseplate. The baseplate broke within 2 years of the replacement surgery. Now many other suits have followed against Smith & Nephew including one alleging that a lateral proximal tibia locking plate was defective and broke within 6 months of implantation and another case where Journey knee components completely failed within a year and a half, resulting in revision surgery. As the population ages, this is only going to get worse. There will be more and more joint replacement surgeries with orthopedic implants leading the way. We just have to hold the makers of knee replacements accountable. A starting point? Conducting properly designed clinical trials to determine the safety and well-being of patients receiving these implants. This is a critical step that needs to be taken to reduce the necessity for revision surgery and, in turn, alleviate the associated burden on the healthcare system. Will it happen? I think the question hinges on how successful these knee replacement lawsuits will be. Are we going to make these device makers make sure they get it right? Exactech Optetrak and Arthrex IBalance are knee replacements that are already causing problems. The Depuy Synthes' Attune Knee System has received more than 230 FDA reports of early failure. In 2013, the Exactech went to a fit tibial tray on its Optetrak knee implant. This has reportedly lead to a large number of revisions. DePuy, no stranger to high profile recalls, has had a difficult time with its Synthes' Attune implant. Lawsuits are starting to be filed regarding these possible defective knee replacements. Attune was intended to cure the problem of patients who get knee replacement surgery and need a replacement 10 years after the initial surgery. Revision surgery is brutal and the odds of success are lower than the original procedure. But the sad irony is there is evidence that Attune is failing at a higher rate than other knee replacements. Do I Have a Potential Knee Replacement Lawsuit? We are investigating Exactech Optetrak and Arthrex IBalance and other knee replacements. If you have total knee replacement pain after three months and you have instability pain, swelling or a fracture, you should call a lawyer. You can call our knee replacement attorneys at 800-553-8082 or click here for a free no obligation consultation on your potential knee lawsuit. We get no fee unless we get a recovery for you. Sometimes, knee replacement lawsuits are better directed at the doctors who can make mistakes when performing the surgery. This is an example case filed in 2016 that may or may not be medical malpractice.